Our Law Firm Never Charges Lawyer Fees Unless We Recover a Settlement for You! | Craven, Hoover, & Blazek P.C. Do not allow personal injury lawyer costs to hold you back from getting the full and fair compensation you deserve. 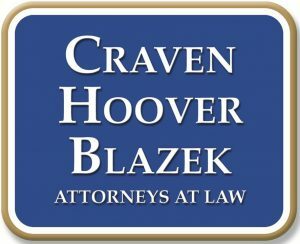 The Law Office of Craven, Hoover, and Blazek P.C. will settle your case, or you owe nothing. Call us for a FREE consultation 317-881-2700. Here at Craven, Hoover, and Blazek P.C., we are your number one advocate after being wrongly injured. We are seasoned personal injury lawyers who work around the clock to ensure every detail of your case is investigated and managed. We use every resource in our power to recover sufficient compensation for your injuries, losses, and damages. Furthermore, statutes of limitations are honored here in Indiana, so we feel eager to remind anyone that has been involved in an accident to contact our personal injury law firm as soon as possible to discuss filing a claim. It is normal to feel concerned and overwhelmed about the thought of having to pay for lawyer services, especially during a time when bills are adding up faster than you can blink. You may be worried that you cannot afford such services along with all your other financial obligations. Fortunately, you do not have to pay these concerns any attention when you have our personal injury law firm working on your claim. Our personal injury clients never have to worry about budgeting attorney costs. That is because they are never required to pay any lawyer service fees unless we recover a settlement for them. So what does this mean for you? As a potential client of ours, you do not owe us a penny for lawyer services if do not collect a settlement for you! Our licensed and skilled personal injury lawyers have extensive trial and litigation experience, and are seasoned in several areas of civil and tort law. We utilize our knowledge of the law and our hands-on litigation experience to help you get the full and fair compensation you deserve after being negligently injured in an accident. If you’ve been seriously injured in an accident that was not your fault, we have the resources to protect your needs. Do you need medical coverage? Are you missing work and losing out on pay? All these concerns and more can be addressed by one of our highly experienced personal injury lawyers. We work hard to recover compensation that will be sufficient enough to cover all of your lost wages, medical expenses, hospital bills, prolonged therapy, and much more. At Craven, Hoover, and Blazek P.C., we promise to not collect any payment at all for our services unless we are triumphant in your case. Call our office today at 317-881-2700 and schedule a FREE initial consultation to discuss your Indianapolis personal injury claim. 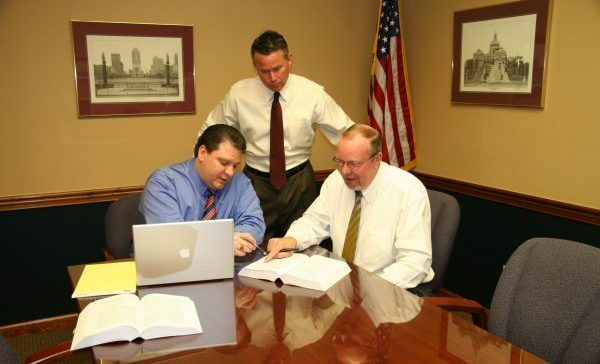 Seasoned attorneys, Daniel Craven, Ralph Hoover, and Keith Blazek, are ready to listen to your case and determine the best strategy for pursing a claim. At your free initial consultation, you can have your case heard and evaluated without any payment obligations. Contact us to get started in your financial recovery, today. This entry was posted in Personal Injury and tagged accident attorneys Indianapolis, file a personal injury claim, Indianapolis personal injury claim, Indianapolis Personal Injury Lawyers, personal injury law firm Indianapolis. Bookmark the permalink.